and How it will save your eyes! Visible light is extremely complex than you think. When you turn on your computer or phone, flip a wall switch inside your room or step outdoors, your eyes will be exposed to visible light. These light rays are in a position to create a tremendous impact on your vision as well. Therefore, you must have a clear understanding of them to minimize the negative consequences that you will have to experience connected with great eye pressure pain. That’s where you should go ahead and enhance the knowledge you have on blue light. As you already know, sunlight is made out of light rays with many different colors. They include red, yellow, orange, blue and green rays. Wavelength and energy differentiate these color light spectrums from each other. When combined, these lights are in a position to give life to white light. Also, according to the Wikipedia’s article about visible light, you should also understand that energy of light is inversely proportional to the energy. Blue light has a shorter wavelength. As a result, it has a high energy. This energy can create an impact on your vision like migraine eye pain for example. That’s where you will need to start searching for a blue light filter. 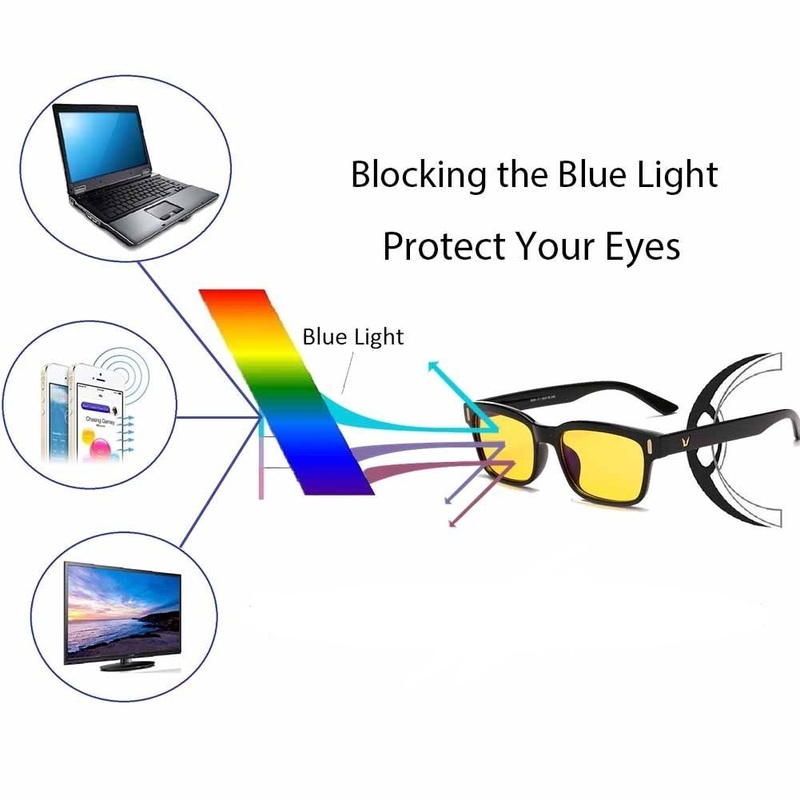 If you are a person who is using your mobile phone or sits in front of the computer most of the time, you must think about getting an anti-blue light filter. 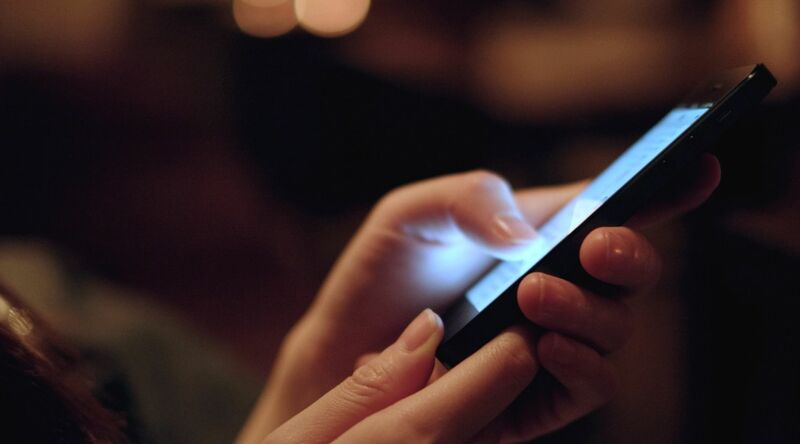 Whether you are browsing the web, reading emails or sending text messages, you must be concerned about reducing the exposure to blue light as much as possible. A blue light filter has the ability to help you with that. 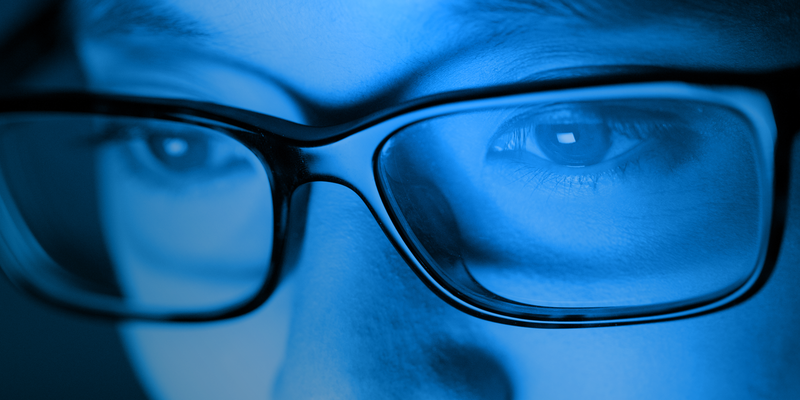 It is possible for you to find blue light filters for computer screens, tablets, and smartphones. These filters are effective and they have the ability to reduce a significant amount of blue light that is emitted by the devices you use. Hence, your visibility will never be impacted by blue light. Instead of purchasing a physical blue light filter, it will be possible for you to go ahead and get blue light filtering software as well. A large number of blue light filtering software apps are available on the internet for you to try out. However, you should be careful to purchase a reliable application out of them. Then you will get the opportunity to stay away from frustration in the long run. That’s why you are encouraged to take a look at Iris. Iris can simply be defined as a software application, which has been designed to provide enhanced protection to your eyes. 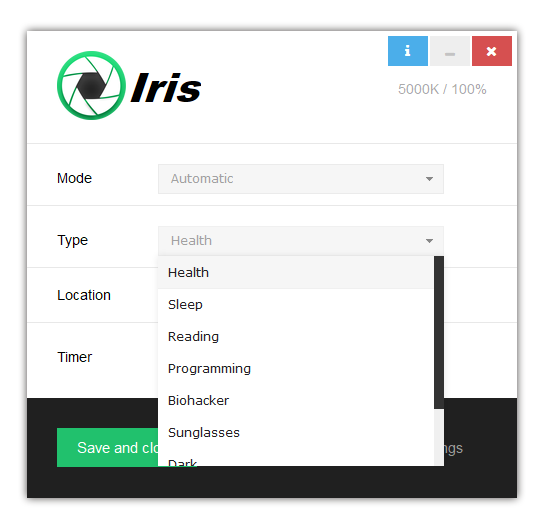 In addition, Iris has got the ability to contribute a lot towards your productivity and health as well. The best thing about Iris is that it has the ability to work as a free blue light filter app. Therefore, you will get the opportunity to stay away from the frustration of installing and using physical blue light filters. You just need to install the screen dimmer software on your device and it will provide you with the service you need. 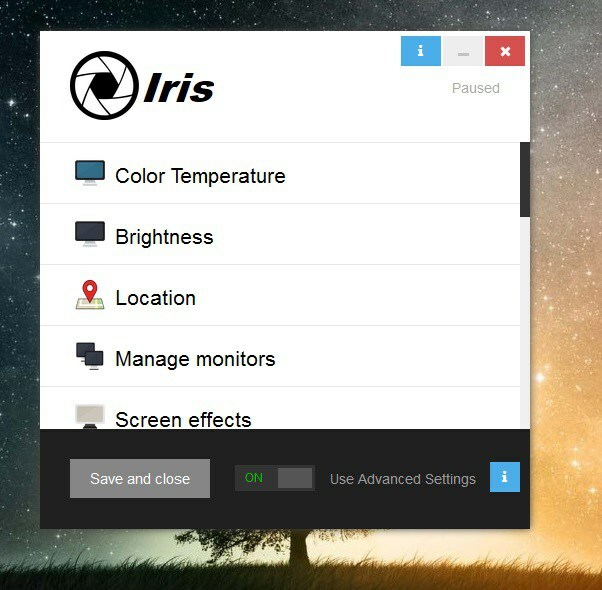 What features can you experience with Iris? 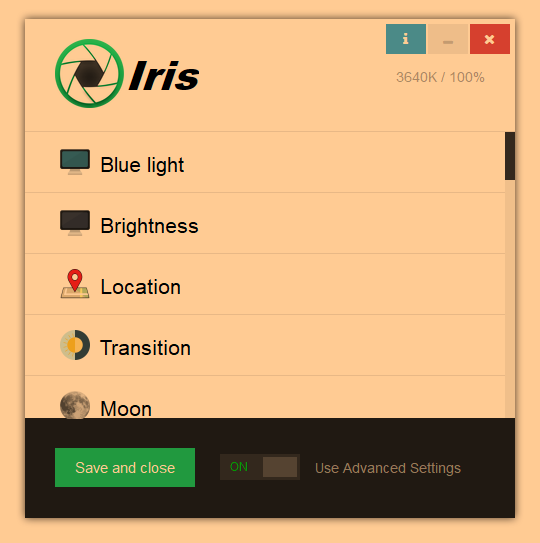 Before you go ahead and download Iris, it is important to have a clear understanding of the features that come along with this blue light protection software. Then you will be able to determine whether it is worth to give this application a try or not. One of the most outstanding features that you will be able to experience in Iris is its ability to prevent eye strain. It has got the ability to optimize the screen pulsations in an efficient manner. This is done through proper controlling of screen brightness. Therefore, you will be provided with the opportunity to stay in front of your computer for a long period of time without encountering any headaches. Most of the computer users complain about the frustrating eye pain that they will have to experience after sitting in front of the computer for a long period of time. If you are one of them, you just need to get Iris installed. It will help you to figure out the perfect color scheme for your display, which can keep you away from eye pain in the long run. 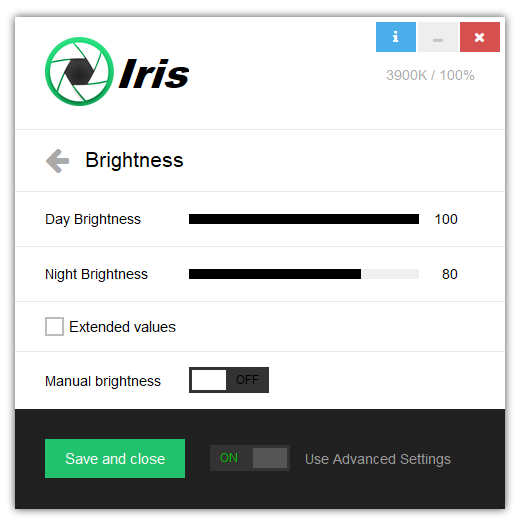 Iris has got the ability to function as a true blue light filter. Therefore, you will be able to get a better sleep experience by using this software application. The application has got the ability to regulate the blue light accordingly during daytime as well as night time. Therefore, your body will be provided with the chance to produce a lot of melatonin during the night time. This can keep you away from the frustration of trying hard to go to sleep in bed. You can quickly fall asleep. On the other hand, it can help you to achieve a deeper blue light sleep as well. Now you have a clear understanding of all the fascinating features that are delivered by Iris. Hence, you just need to go ahead and download this monitor blue light filter. You will be able to do it on their official website. 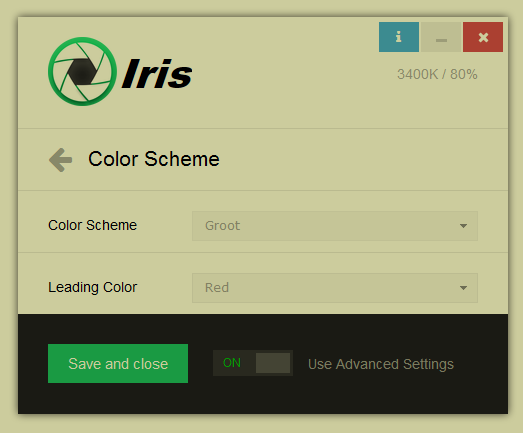 The best thing about Iris is that it provides you with the ability to try the software for free. You can use this blue light dimmer software for seven days without making a payment. If you are impressed, then you will be able to go ahead and spend your money to buy it. You just need to spend $15 on this software as well and it will be a one-time purchase. If you are a computer user, this will be one of the best investments that you can take in order to protect your vision.